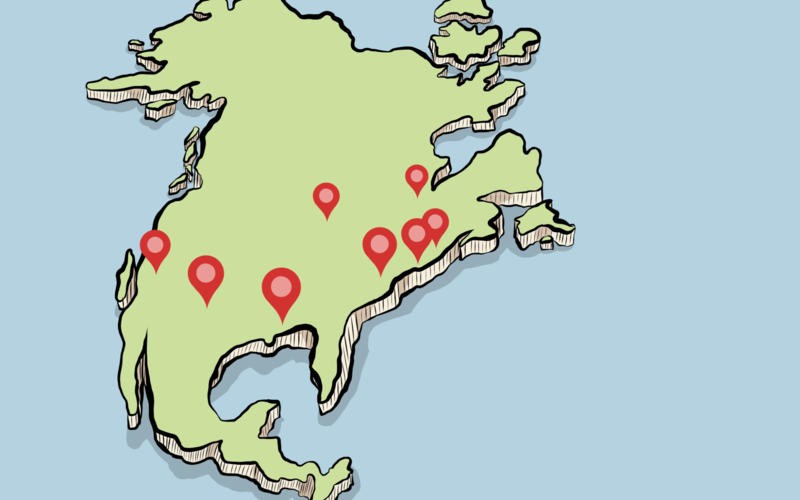 Charlie Spring travelled between ten cities in the US and Canada to find out how surplus food is redistributed by charities. In this diary of her travels she recounts some of the stories, people and projects she encountered along the way. My trip was inspired by Janet Poppendieck’s book Sweet Charity, written in 1998 and critiquing the explosion of “emergency” food assistance under the Reagan government. The welfare cuts in that era led to the development of a food aid network that continues to plug gaps in public safety nets today. Poppendieck describes food banks as a “moral safety valve”. They allow the public to feel reassured that those worst affected by inequality and the withdrawal of the state from providing social security, are at the very least, fed. I wanted to find out whether and how food banks were responding to such criticisms, especially around the indignity and inadequacy of charitable food. To understand mainstream food charity work, one cannot avoid Feeding America, the largest food bank network in the US, with revenue of over $2 billion. It distributed the equivalent of over a billion meals from January to March alone and gives food to 46 million Americans each year. I visited three of its cavernous food bank warehouses. Forklifts buzz about, stacking chest-high boxes of apples inside giant fridges. Several of the warehouses boast docking stations for a fleet of lorries. This feels like a form of retailing, an idea that is reinforced by Feeding America’s advertising campaigns, IT systems and corporate branding. Poppendieck’s book pointed to the nutritional inadequacies of food bank supplies. My discussions with food bank leaders highlighted efforts to improve the healthiness of redistributed food. 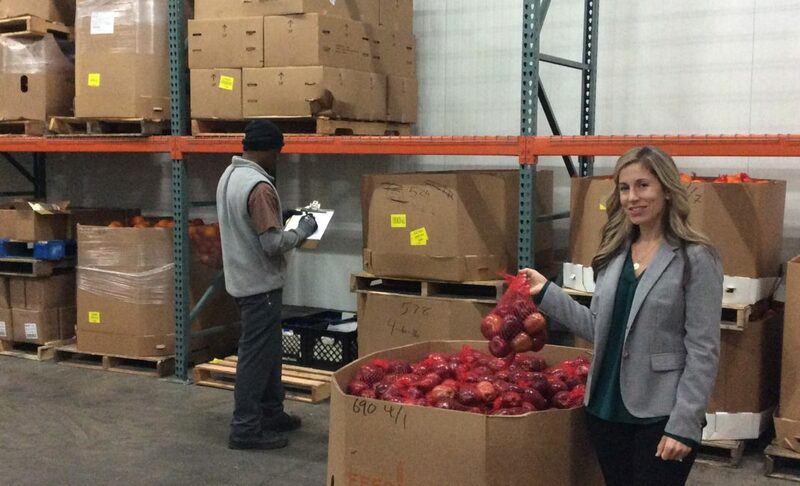 The apples I saw are one example of the fresh produce some food banks now distribute, alongside protein-rich foods like peanut butter or other surplus products, with some farmers producing specifically for the food bank. Some food banks were refusing donations of sugary soda and cake, a bold step given that food banks’ success is still measured in pounds of food distributed – and soda is heavy. Other food banks, especially those located in farming regions, pre-ordered fresh produce from local farms, and distributed farm seconds, such as celery whose fresh, green smell filled the whole place. However, such progressive policies are by no means the norm across the network, and are concentrated among food banks located in farming regions. 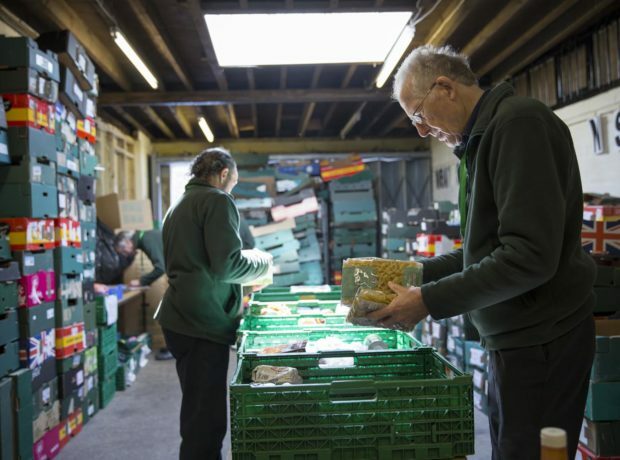 Have food banks made efforts to address the fundamental indignity of receiving charitable food? I found laudable examples when I looked beyond Feeding America. Canada’s Community Food Centre model combines a “healthy food bank” with other activities such as cooking, growing and eating together. Food bank leaders I spoke to were encouraging partner agencies to use shopper or client choice models of food distribution. But my visit to a shopper model food pantry in Albuquerque suggested that food choices can be narrow – between two types of soup for example. On other items there were display tickets limiting the number of items that a visitor could choose. Volunteers patrolled the aisles, and shoppers still had to wait in line in queues that could stretch around the building. Read more: Do big businesses have a vested interest in America’s food banks? Another soup kitchen I visited in Albuquerque was providing multiple services: medical care, needle exchange, postal service and clean socks. The director described how racism, ill health, housing policy, substance abuse and lack of federal funding exacerbate hunger and homelessness in his state, New Mexico. Meeting peoples’ basic needs with dignity is hard enough, he said. Prevention and long-term solutions are even harder, requiring coordination with other front-line services and political advocacy that many like him struggle to make time for. There are currently 42 million Americans receiving federal food assistance from the Supplemental Nutrition Assistance Program (SNAP). This reinforces the argument that charity cannot solve the persistent underlying problem of incomes too low to afford a decent diet. One man at the Albuquerque food pantry told me that the queues are longest at the time of the month when SNAP runs out, suggesting that even federal benefits are not making up for shortfalls in people’s income. Canada’s Put Food in the Budget is a campaign to raise social assistance rates to enable a decent living standard. Led by people with experience of hunger, it uses creative approaches to campaign against poverty, e.g. leafletting local events and challenging city officials to survive on state benefit. In Washington DC, city-funded scheme Produce Plus gives benefit recipients cash to spend at farmers’ markets. The idea is to encourage producers to locate themselves in low-income neighbourhoods. Any participant can spend up to $20-a-week on fruit, vegetables and herbs, until the city’s yearly budget runs out. On the other side of the country, I spent a day cooking with Community Kitchen Collective (a.k.a. ‘CommieKitsch’) in New Orleans. 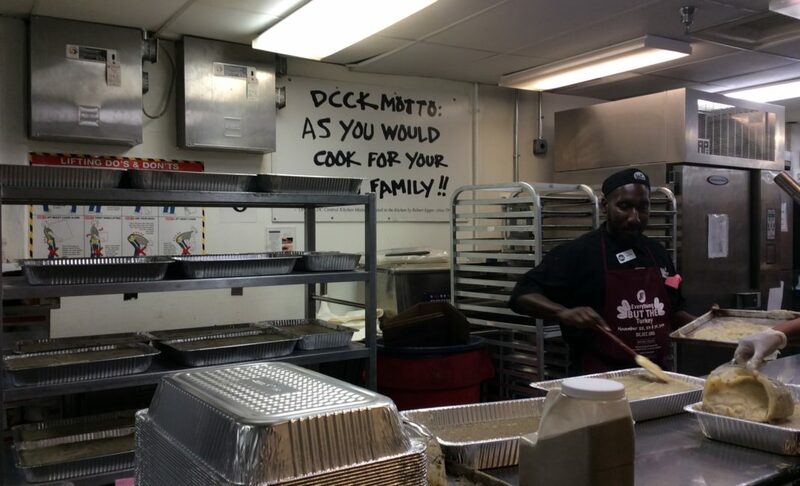 It cooks community meals for those displaced by gentrification and Hurricane Katrina and others who don’t earn enough to eat well. I trucked around pot-hole-ridden back streets with volunteer Lauren to collect food from warehouses. We found labourers who’d been heavy-lifting food crates since dawn. Lauren had packed them a cooked meal to say thank you for the food donations, for which we both received big, sweaty hugs. Surplus food here flowed reciprocally on the basis of informal but longstanding friendships. Read more: Why is Asda partnering with the Trussell Trust? Back at the house and garden where we cooked, I watched a girl scald-roast green chillies that she blended with lime, salt and pepper into a fresh hot sauce to liven up the stew. We rode in the back of trucks with brimming pots to a park for the shared meal. Efforts like CommieKitsch have always differentiated their politically-motivated work from that of food charity. Like Poppendieck, they criticise charity for perpetuating a system that allows people to go hungry. Described by Nik Heynen as “non-violent, civil-disobedient direct action for the hungry”, they position their work as solidarity rather than charity. Choosing to feed people in public places serves as a visual reminder of the failure of state institutions to uphold the right to food, even when this exposes them to crackdowns by city authorities, including public feeding bans. There is a long tradition of combining food charity with activism. I met Judy Goldhaft at a café on the edge of the Haight Ashbury, San Francisco’s hippy heart. She now campaigns for ‘bioregional’ environmental activism, but was a founder member of the San Francisco Diggers in the late 1960s. The Diggers gathered rejected food from markets and stores to cook free, public meals for anyone who needed them. Judy explained to me how they shared food with the Black Panthers for their Free Breakfast Program and the Indians Of All Tribes occupying Alcatraz from 1969-1971. In this way, food redistribution created collaborations across struggles over racial and class injustices and indigenous land sovereignty. Market traders sometimes mistook Judy and her fellow Diggers for the Catholic nuns who also distributed surplus food to those in need; radical and charitable food redistribution shares tangled roots. Finally, I was hugely inspired by DC Central Kitchen. Refusing to view food parcels as the solution to poverty, they focus on boosting skills and providing employment through a culinary training programme for people excluded from the workplace. Many graduates of the programme are then employed by the Kitchen, cooking healthy meals that are sold to schools, or given to community meal programmes. This approach still requires significant fundraising. But it has more chance of creating systemic change than providing free food to hungry people. My trip reinforced my sense that food charity cannot, and will not, solve the underlying problems that result in food insecurity. 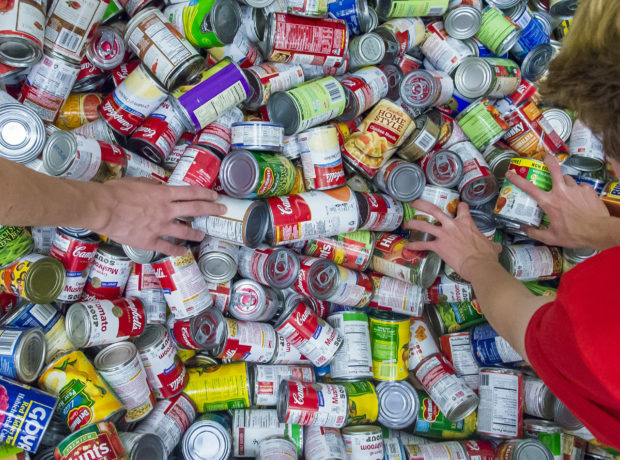 Foodbanking in the US has created a secondary food system that has had little demonstrably preventative impact on levels of food insecurity in North America. Food banks need to talk about race, gender, class, depression, health, housing, wages, and control over our food system. One California food bank I visited focused not only on healthier food provision but employed a worker to advocate for public policy that could prevent hunger. She described vocally challenging local budget hearings where cuts to disability benefits were justified by the argument that people could at least rely on the food bank. Another food bank tries to boost client representation in decision-making through inclusion on advisory boards (though in Big Hunger, Andy Fisher points out that these often have little formal authority, while food bank boards often include members employed by large corporations whose interests may clash with efforts to address underlying causes of hunger). A key lesson, then, is to involve people most affected by policies and practices that alleviate or aggravate hunger, who Mariana Chilton calls “witnesses to hunger”. She accompanies these witnesses to testify about their experiences to senators who may have influence over budgetary decisions around welfare and wages. Some food banks offer empowerment training to assist their clients to speak truth to power; these suggest ways of moving beyond “dignified distribution” towards more systemic change. 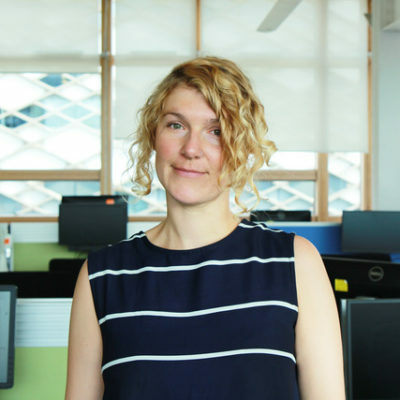 Charlie Spring’s trip to the US and Canada was funded by the Winston Churchill Memorial Trust and formed part of her doctoral research into the growth of surplus food redistribution in the UK. The formal report of the trip’s findings can be found here. Main image by Kassidy Dawn.